Halcyon began as a group of divers who knew exactly what they wanted but couldn't find it in any dive store. Our passion for the dive led us to business. We started designing wings and lights to satisfy ourselves. However, we soon discovered that we were not alone in our pursuit of equipment that could radically improved the diving comfort of the newest recreational diver while also supporting the most aggressive technical dives ever completed. Our founders, as well as current owners and senior management, have a long history as diving pioneers with diverse backgrounds, ranging from academia to manufacturing and consulting. However, they share one common thread: an average of 20 years of dives in each of their logbooks. 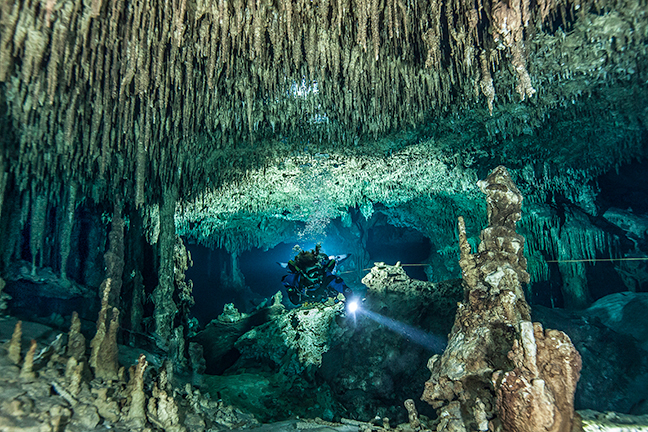 Much of Halcyon's reputation was earned through the hard work of underwater cave exploration in Florida, Europe, and Mexico. In the company's early days, Halcyon product development meetings were likely to be held in a Tallahassee sushi bar after a hard weekend of cave exploration. Everyone would debate about how the current wing made a dive more or less comfortable, or how changing a material would be an improvement. 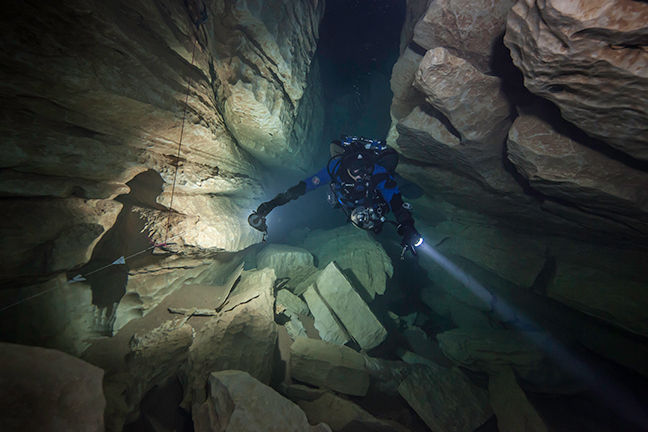 While some of us were putting the gear through its paces in the caves, others were doing the same on wreck and reefs from the Baltic to the Caribbean. As soon as the feedback filtered in, a new batch of wings with the suggested changes in place would roll out of the factory, made better by the previous two weekends of diving. Halcyon is still one of the only major dive manufacturers to house a significant amount of production capability in one location. Our High Springs, Florida, factory affords us unparalleled ability to design, prototype, build, and test gear in one place. Our product development team includes most of the senior staff at Halcyonand the input of a select team of divers worldwide.